Welcome to the world of Fascinating Scent, the site where you may find Fascinating Scent: A Tracking Manual and The Fascinating Scent Tracking Workbook, a tracking camp to increase your tracking success, a puppy training book, a parade of tracking breeds, a few quilts to view, some radio controlled airplanes and some friends who love to talk about tracking. The pages have recently been updated with many new photos added. Spend a few minutes at Lab Land and viewing photos of dogs tracking. Susan has finally written down her newest method for getting a dog started in tracking. It is a short “pamphlet” called: Tracking Essentials: Getting Off To a Good Start. You may read more about it on the books page. Orrin also has created a Fascinating Scent Facebook page which is public. Susan is also on Facebook and there is also a page for The Round Cat Trilogy. Note that the price structure for tracking camp has changed. Photos are now included in the price of camp to make it easier to plan your finances for your visit. The Round Cat Trilogy is Susan’s fiction book which will be enjoyed by children and adults. It is not a “once upon a time” or “living happily ever after” story. It is about liv ing happily now, finding your dreams, and making them come true. This book will prove to be entertaining while reinforcing many lessons the parents want to teach their children. I hope you will read the book with your family, and share the lessons with your friends and their families. It is available from me and online at the major sources of books. Check out the page on this website for more information or to buy signed copies. All copies sold here will be autographed by both the author and the illustrator. The new procedure on starting dogs in tracking is now available: Tracking Essentials: Getting Off To a Good Start. See the books page. Camp dates are up. Check with Susan to reserve your dates for spring or fall now before someone else takes your favorite time. In the summer, I teach mini camps for small groups of interested trackers. Contact me for more information if you would like to set up a date. For 2018 dates, please check the camp page for spring and fall sessions. The dates depend of the weather. I have picked the dates which usually have the best weather for tracking but will work other times that might suit you better. We have to wait until the snow melts in the spring. In the summer, I will only work days when it is not too hot for the dogs. Tracking is not an option after Nov. 15, because that is the start of rifle season and I don't want anyone to get hurt. New pages have been added to the website! See the page on Lab Land and the parade of tracking dogs. Lots of photos on both pages. See Lab Land in all seasons and see how different it looks from season to season. 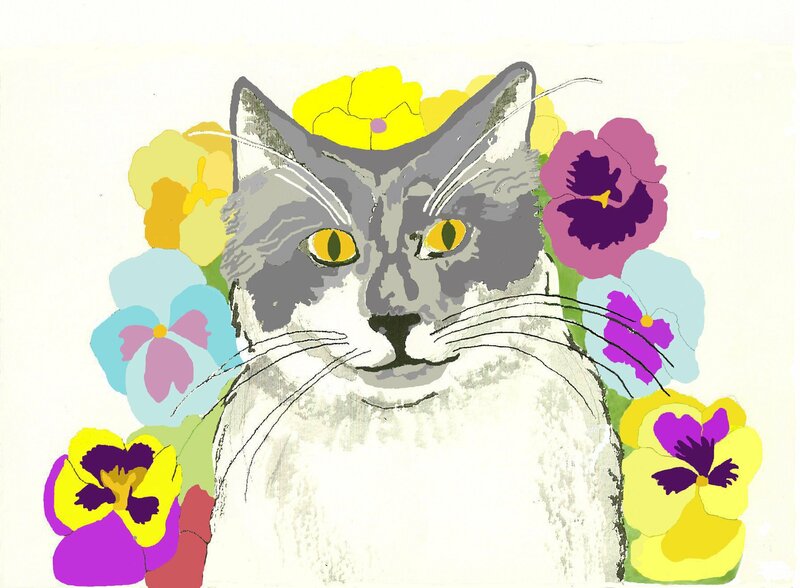 We are now on Facebook Fascinating Scent, The Round Cat Trilogy, as well as Orrin Eldred and Susan Eldred.